Rogue Orb is a retro roguelike dungeon crawler inspired from a 1988RPG game created by Edward Joyce. This remake reflects the originaland pays homage to that game.The objective is simple; find the orbon the levels below and bring it back to the exit stairs. Featuresinclude...• Three playable characters (cleric, fighter and wizard)•Retro style graphics (reflecting the original game)• Hall of fame(share / gloat your top characters with friends)• Random generatedmaps and monsters• Extremely difficult (roguelike with permadeath),very rewarding to complete!Compete with your friends and be thefirst to bring back the Rogue Orb! Search, select and track your bus throughout Auckland, New Zealand.Ever wondered where your bus is? Have you missed it? How far off isthe next one? Wonder no more with Auckland Bus Buddy.Bus Buddy usesAuckland Transport services to accurately locate enabled busesthroughout Auckland.Features include...• Track multiple buses atthe same time• Search by bus number and / or route• Automaticallyfollow a selected bus• Displays the selected bus path• Displays thebus bearing• Toggle on/off traffic hot-spots• View upcoming traindepartures (and delays) • View upcoming ferry departures• Add ferrywidgets for upcoming departuresSuitable for Auckland commuters,weekend travellers and tourists visiting Auckland.DisclaimerAuckland Transport does not provide the location forevery bus, there may be other buses not listed or shown on the map.Bus locations provided by Auckland Transport are updated within amaximum of 30 seconds. 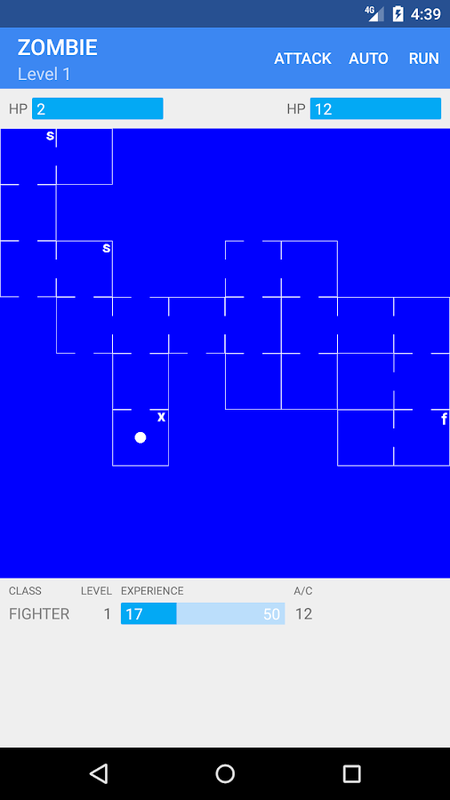 Welcome to this modern reinterpretation of a rogue-like dungeoncrawler! You will need a strategy with self-judgment and control, anecessity in SRPG and tactical games. Break through challenges andtrials by controlling the character directly. ! Network connectionrequired. ! Archer can be used when you complete the early mainquest. *Explore dungeons, and discover an unwanted and darkreality. 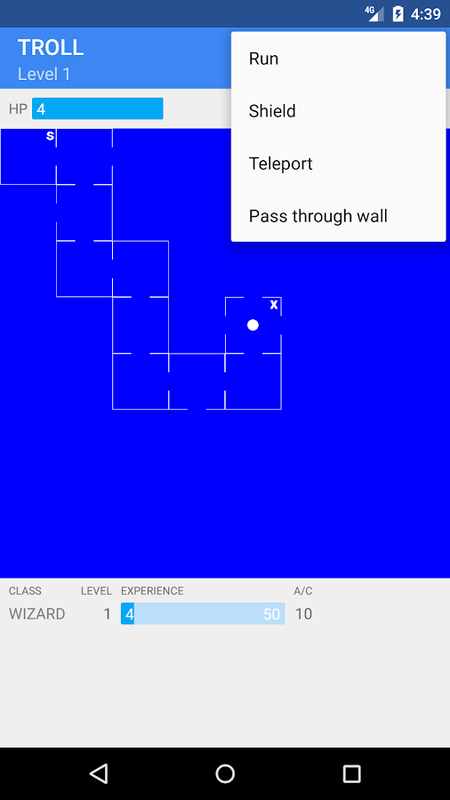 *Explore regions with diverse themes and randomlygenerated dungeons with optimized, intuitive, and easy-to-usemobile device controls. *Fight boss monsters with deadly attackpatterns and earn loot. *Engage in these ordeals by usingcharacters with close combat and long distance skills. *Not onlybattles, but various traps and puzzles also lie in wait." Travel through unlimited floors of increasingly difficult enemieswhile collecting vast amounts of unique loot! Become the ultimatehero using various weapons (Dual Swords, Long sword, Pistol,Shotgun, Wand and Staff) Hire and organize mercenaries to createthe strongest party. Upgrade skills and create a melee focusedwarrior or mix and match and create a hybrid character of yourmaking! Explore the dungeon. And survive. How far can you go ?! A complete multiple page character sheet for a fifth editiontabletop role playing game. Also includes a character creator forquickly making characters. Customizable 5 page character sheet: -Create, save, and edit multiple characters - Automaticallycalculate: ability modifiers, armor class, skill bonuses, etc. -Track hit points, damage, temporary hp - Highlights skillproficiencies - Manage multiple weapons with calculated attack anddamage - Spell book with spell attack bonuses, spell DC, and spellslots tracking - Notes and Features page along with currencytracker - Hide pages you don't need, reorder pages as you wantBasic Character Creator - Build complete level one characters inseconds - Includes options for races, sub-races, classes,backgrounds, and more Whether you're slaying dragons, buildingkingdoms, charming town guards, amassing treasure, or delvingdungeons, you can track your role playing with this charactersheet. Legend has it that the world was once pitch black. Humans werepuppets of the giant dragon "Sdorica". As a "Watcher", how will youchange this world?... Four years in development, Rayark Games'latest work challenges the limits of visual design, musicperformance and story telling in a Role-playing game. - Visuals Inthe colorful and magnificent environment, every single characterwill be on stage. Experience a picturesque, storybook-likeadventure. - Music Handled by Chamber Chu, the composer of DEEMO'smain soundtrack, a fully orchestrated soundtrack materializes theworld note by note. - Storytelling Displayed with fully animatedcutscenes handcrafted by 2D animators. In addition to the mainstoryline, the side stories of over 30 characters are woventogether to create this grand tale. - Strategy Support, Attack andDefense; three classes of characters complement each other. Frompicking team members to planning a strategy based on the number ofblocks on board, enage in exhilarating battles that challenge yourtactical mind. The Book of Bequeathers can display all realities,but the Book of Bequeathers can't decide all truths. One for all,all for one. Their fate is the fate of the world. Write your ownstories. So, take a careful look, because you are now a member ofthis splendid world. 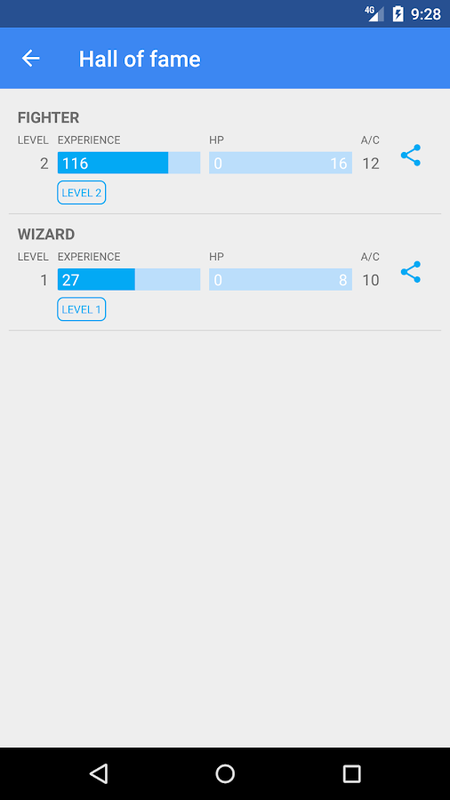 RPG Simple Dice is the most easy to use dice roller app fortabletop RPG games. Available features: - default dice: d4, d6, d8,d10, d12, d20 and d100 - custom dice: make a d3 or any other diespecifying the number of sides - roll X times the dice (1 ~ 100) -modifier (-100 ~ +100) - history * No ads or weird permissions Ihope you enjoy it! Any suggestions please send me an e-mail. Thankyou. ** Beta version available, please subscribe and help us toimprove the app! Images are provided by: - Delapouite(http://delapouite.com/) under the CC BY 3.0(http://creativecommons.org/licenses/by/3.0/); - Google(https://material.io/icons/) under the Apache License Version 2.0. EpicGM is a tool for to run dnd 5e RPG games. Preparing for yourgames becomes more convenient using a drag and drop campaignmanager to link map, images, monsters and sounds. Features:Campaign tool to link your notes to your map. Creature compendiumRandom Table/Encounter Builder Cloud Support to sync across devicesor to find pre-made adventures. Fightclub XML support via dropnboximport for compendium, spells, items and creatures. **by default,the app only supports open 5e content and data.